Bob Rink is serving his 32nd year with the Puyallup School District — the last 23 years as band director at Ferrucci Junior High School. Additionally, he is an affiliate faculty member at the University of Puget Sound teaching Concert Band and music education courses. Active in the Washington Music Educators Association, he served on the Executive Board as Band Curriculum Officer 2012-2016 and has presented numerous sessions at WMEA conferences. He also was appointed Symphonic Band director with the Puget Sound Youth Wind Ensemble organization 2010- 2014. Under Mr. Rink’s direction, the Ferrucci Concert Band has performed at three WMEA conferences, MENC Northwest Division Conference, Midwest Band and Orchestra Clinic in Chicago, and many local band festivals. Mr. Rink is humbled to have received the following awards from his peers: Valley Region “Outstanding Music Educator,” Puyallup School District “Teacher of the Year”, Washington State recipient of School Band & Orchestra magazine’s national “50 Directors Who Make a Difference” and in 2012 inducted into the WMEA Hall of Fame. Mr. Rink earned music degrees from University of Puget Sound and Pacific Lutheran University. He feels fortunate to have learned from several mentor teachers and appreciates the collegiality of many dedicated music educators. 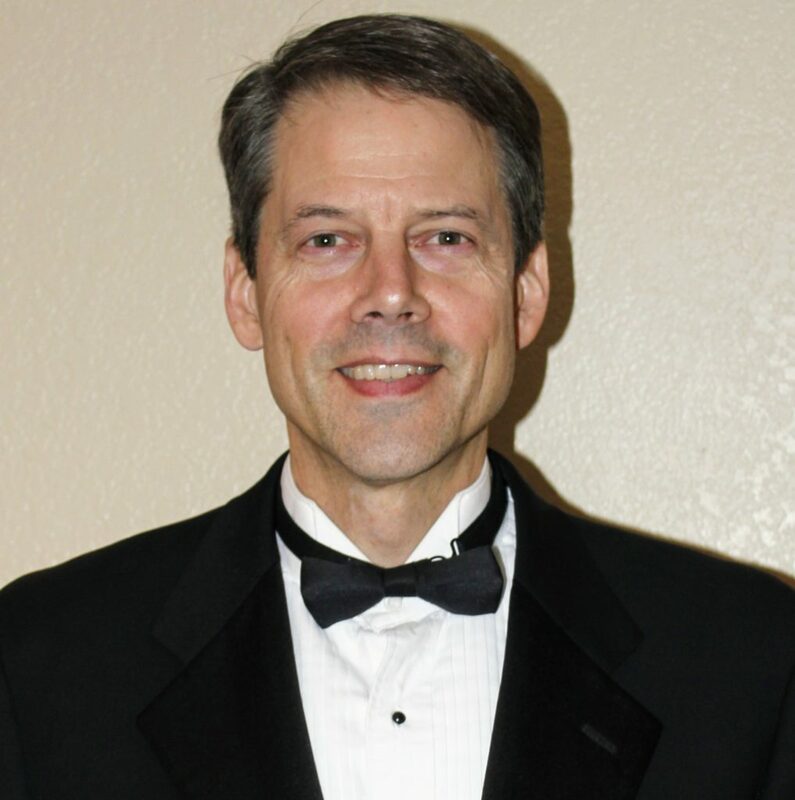 After 25 years of performing as clarinetist in the South Sound Symphonic Band, he was recently appointed musical director and conductor for the 2018-2019 season. 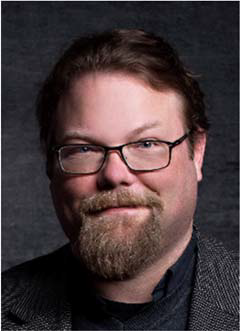 Paul Bain is the Associate Director of Bands and Assistant Professor of Music Education at Central Washington University (2018) where he leads the instrumental music education program and conducts the CWU Symphonic Winds. He was the Director of Bands at Graham-Kapowsin High School (Bethel School District) since 2006 where he taught three concert bands, jazz ensemble, percussion, and hosted the annual jazz festival. He was also active with the Tacoma Youth Symphony Association and served as the band director for the Washington Ambassadors of Music, giving concerts in London, France, Switzerland, Austria, and Germany every other summer. Mr. Bain has guest conducted the Tamana All Girls High School Band New Year’s Concert in Kumamoto, Japan, and in 2002, he was appointed guest lecturer for one quarter at Pacific Lutheran University conducting the concert band. In addition to his teaching duties, he serves as a clinician and adjudicator throughout western Washington. Mr. Bain holds a Bachelor of Music Education from Pacific Lutheran University and a Master of Music in Instrumental Conducting from the University of Washington. His primary conducting teachers have been Timothy Salzman and Raydell Bradley. 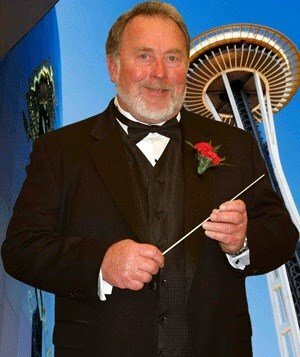 Tom directed the South Sound Symphonic Band for nearly 30 years (1987-2013). He taught with distinction for 12 years in the Franklin Pierce SD and 13 years in the Puyallup SD (1970-1995). Some of you may know him as a colleague, respected music educator, or past president of Music Centers, Inc. As a leading advocate for school music programs, Tom was awarded the Citation of Excellence from the National Band Association, named Outstanding Music Educator for the South Puget Sound League, and selected into the Washington Music Educators Association Hall of Fame — Class of 2000. In October of 2007, Mr. Anderson was inducted into the prestigious Northwest Bandmasters Association. Mr. Anderson’s bands are known for having achieved the highest level of musicianship and remain a model for those in the field of music education. Tom generously served as mentor to numerous band directors in the region and his influence is still present in those who continue his teachings. The Thomas E. Anderson Scholarship originated over ten years ago with Mr. Anderson being the primary contributor. Tom valued a high level of musicianship and felt it was important to recognize and reward that accomplishment in our youth. Read more and see past recipients about the Thomas E. Anderson Scholarship.